Congratulations to all candidates of the PADI Asia Pacific February Instructor Examination in Kota Kinabalu! 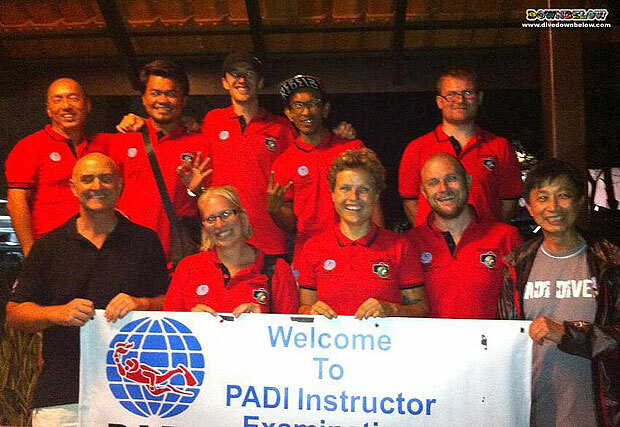 It is a great achievement for all in certifying as PADI Open Water Scuba Instructors! Well done to Danny, Timmy, Along, Wai, Julien, Sophie, Tyler and Danielle for their much deserved success! We look forward to the development of their careers as dive educators and supporting their own Instructor-level education in future! Get in contact with one of our friendly and experienced Head Office staff to discuss your path to live your diving dream and Go PRO!